London (AFP) - The decision by English Premier League clubs to bring the summer transfer window to an early close compared to Europe was equivalent to firing a "bullet in the foot", super-agent Jon Smith told AFP Thursday. Smith, who numbered among his clients legendary duo Argentine Diego Maradona and Dutchman Ruud Gullit, said world governing body FIFA's uniform regulations on the transfer window were due to come into effect next year, but the Premier League opted to change their system earlier. This has led to difficulties for the English clubs in dealing with their European rivals -- whose window doesn't close till August 31. "What you usually see is European prices sit up there and then 7-8 days before the window closes they start to come down a bit that is why you see a bit of a run to the line," Smith said. Because of the early deadline in England, Premier League clubs this time round were seen as "desperate", leaving foreign clubs asking themselves: "Why should we reduce our prices." "That is where really it is a bullet in the foot," said Smith, speaking ahead of Thursday's closure of an unusually quiet summer transfer window. "Personally I think it's not right. I think it's right if you agree with all of Europe and all the different countries," he said. "To have 20 days less (than European rivals on the transfer market) I think is not a thing that is going to help you." Smith, who has just co-founded 'The Fans Agency' which for the first time allows supporters to become part owners of an agency investing in footballers, said that Manchester United, and rumours concerning their French World Cup winning midfielder Paul Pogba's future, are a case in point. 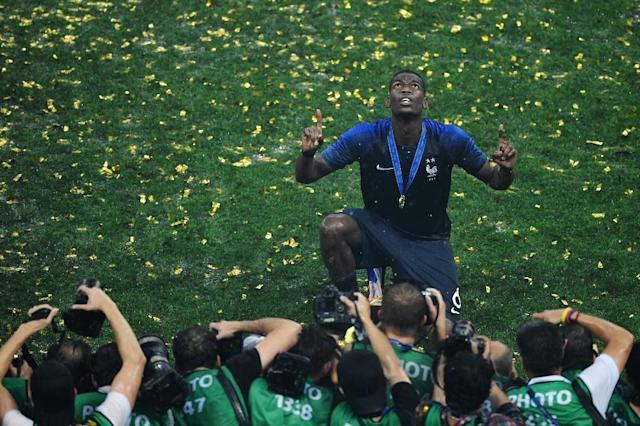 Pogba -- who moved to United for a then-world-record £89 million ($114 million, 99 million euros) from Juventus in 2016 -- is said to be attracting interest from Barcelona amid reported tension between the player and United manager Jose Mourinho. "United are sitting there, let's say three days ago, and they know (Mino) Raiola (Pogba's agent) is in Barcelona, and he is with Juventus," said Smith. "So do they (United) go round trying to replace him in case he goes, or will they just take a chance on it and wait and see and maybe we can loan somebody if he goes." For Smith, who initially forged a successful career in the music industry producing albums for the likes of the late American 'Queen of Disco' Donna Summer and Rhythm and Blues singer Billy Ocean, United have their hands tied now the window has closed. "So United now sit and think, do they have the intelligence to know whether Pogba is going to go or maybe go," he said. "Barcelona could buy him till the end of August but United can't buy a replacement."